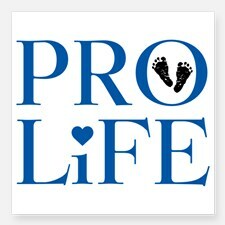 On January 18, two groups of students demonstrated their dedication to protecting life! Please join us in thanking these students, as well as all of our Teens for Life members and their moderator Mrs. K.K. Schneider, for their continued dedication to protecting life! 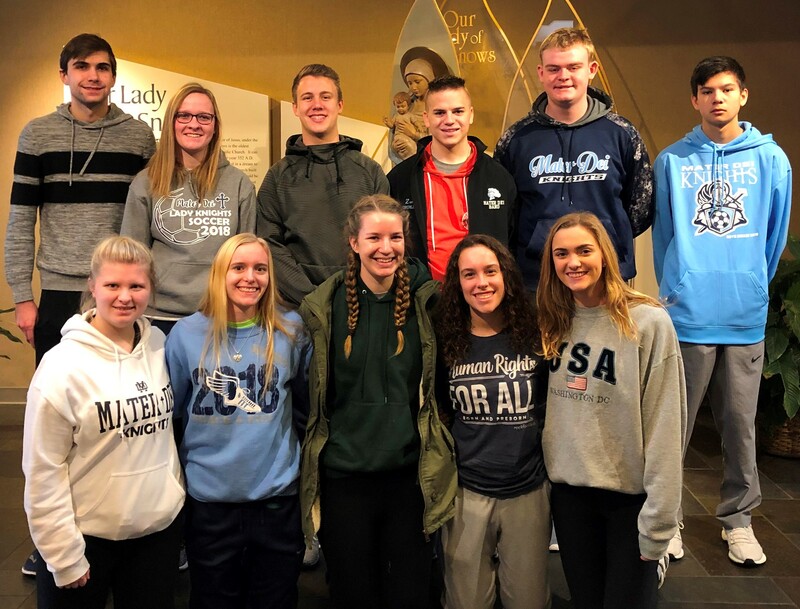 Pictured prior to traveling to the 46th annual March for Life in Washington, D.C., which was held January 18, are (front, from left) Sophia Kenow, Mya Albers, Taylor Goring, Katie Wieseman, Alyssa Becker; (back, from left) Andrew Stevenson, Meredith Wilke, Ben Cowgill, Zach Holtgrave, Spencer Gramann, and Christian Wascher. 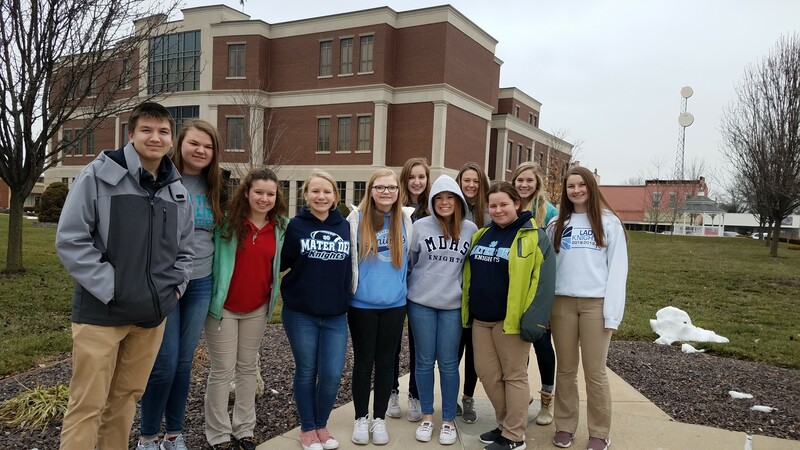 Pictured at the Clinton County March for Life, which was held at the Clinton County Courthouse January 18, are (front, from left) Chris Kalmer, Allison Vonder Haar, Samantha Mansfield, Josie Przygoda, Liv Longshaw, Abbie Gross, Kailyn Skinner; (back, from left) Jordyn Muscarello, Faith Rackers, Alyssa Gall, and Emerson Dermody.